Signarama Myaree is your full service sign centre. We use the latest technology and highest quality products to produce custom signs for your business. We can make the perfect signs to advertise your products or to inform your customers, while enhancing the image of your company. Signarama can custom make any type of sign for your business including: Illuminated signs, Banners, Vehicle Graphics, Fabricated letters and logos, Window Graphics, Custom Graphics, Safety Signs, Custom logos, Digital Graphics, Signs Perth, Car Signs Perth, Directory Signs, Reception Signs, Individual Letters, Shop Signs and more!! 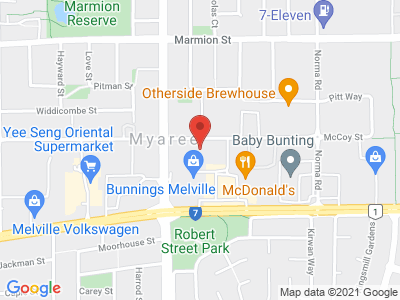 We cover areas including Myaree, Alfred Cove, Bicton, Melville, Booragoon, East Fremantle, South Fremantle, Murdoch, Winthrop,O'Connor, North Fremantle, Mosman Park, Hamilton Hill, Applecross, Attadale, Bateman, Beeliar, Bibra Lake, Brentwood, Cockburn Central, Coogee, Coolbellup, Hilton, Kardinya, Melville, Mount Pleasant, Munster, Murdoch, North Lake, North Coogee, O'Connor, Palmyra, Salter Point, Samson, South Lake, Spearwood, Success, White Gum Valley, Willagee, Winthrop and surrounds.